Everything We Know About the Downtown Phoenix Arena Deal Before Jan. 23 Council Vote - Downtown Phoenix Inc. The question sparked strong, even polarized debates over the past week: What should happen to the Downtown Phoenix arena? 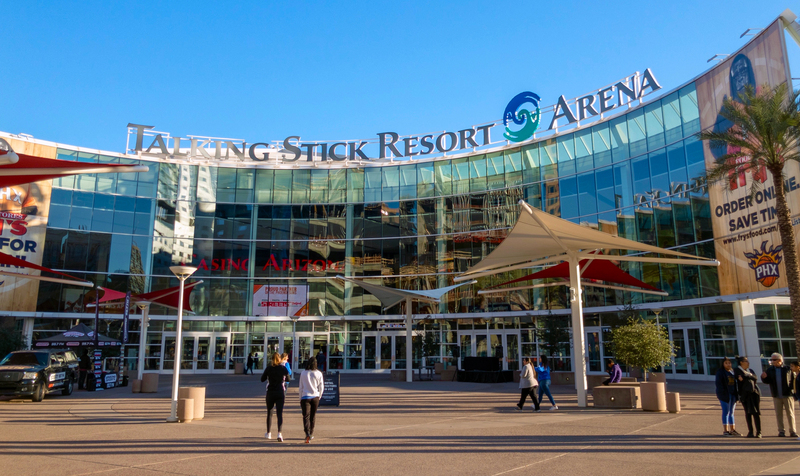 Conversations surrounding the fate of the City of Phoenix-owned Talking Stick Resort Arena dominated a series of public meetings, which will culminate in a vote by City Council on Wednesday, Jan. 23. Two of the meetings took place downtown, and while some critics of the deal voiced concerns, most downtown business owners and residents showed up to support the proposed agreement. The deal potentially keeps the Phoenix Suns downtown until at least 2037, and includes $230 million in arena renovations. What’s wrong with the arena? Just like a home, the arena needs updating after 27 years, according to Mackay, whose team at CED helped determine preliminary construction costs. As the landlord, the City is responsible for things like a new roof, plumbing, mechanical, electrical, telecommunication and structural elements. An obsolescence clause in the original 1989 contract lays out a prescriptive process for major renovations that could begin as early as July 1. If it gets to that point, an independent arbitrator comes in, looks at the facility, and determines what needs to be fixed. The City would be stuck with 100 percent of the bill. In order to avoid that process, the City is looking to make a deal with the building’s anchor tenant, the Suns, paying $150 million using an existing tourism tax — the original funding source for the building — with the Suns paying $80 million. Updating things like the locker rooms, clubs, suites and other elements focused on “the fan experience” would be the Suns’ responsibility. The team would also pay for a new practice facility in Phoenix, in addition to any construction overruns. 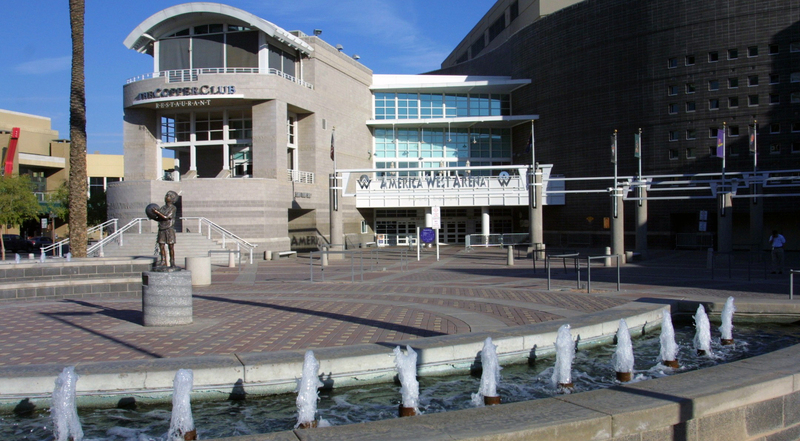 The tourism tax, known as the Sports Facilities Fund, has financed the City’s share of capital expenses on the arena since its construction in 1989. It’s generated from a 1 percent tax on rental cars and 2 percent tax on hotel rooms. To this end, local taxpayers aren’t footing the bill, according to Mackay. Locals might enjoy the occasional staycation or road trip rental, but 93 percent of the tax on rental cars and 88 percent of the tax on hotels comes from out-of-towners, according to the City. Talking Stick Resort Arena (originally America West) is currently the fifth-oldest arena in the NBA. During the public meetings, the City laid out several alternative scenarios for the future of the arena including letting the Suns walk away, running the building as an event center, selling it and demolishing it. There aren’t a lot of people or groups interested in buying an aging arena, according to Mackay, and City staff is reluctant to take on the financial and logistical burden of running it themselves. In terms of razing it and starting over: The cost of demolition and time it takes to redevelop that much land — approximately 30 years by her estimates — also make it an undesirable option. Moreover, none of the alternatives could generate the same economic impact. According to CED’s estimates, the building generates $182 million in economic impact annually, and about $13 million goes into the City’s general fund through sales taxes. It also supports 1,500 full-time jobs and 700 part-time jobs. The City examined numerous factors in drawing up the deal, including what the Suns have contributed over time — $150 million in capital improvements and $300 million in operating expenses — in addition to what the overall value of the arena is. Currently the Suns assume all operation and daily maintenance costs, including booking shows, games and community events, in addition to paying rent and 10 percent of the profits to the City. To date, the City has paid $79 million in capital improvements and nothing in operations, which is relatively unique for a City-owned building. For example, it subsidizes day-to-day operations at the Phoenix Convention Center, Herberger Theater Center and the Arizona Science Center. But despite the economic impact, some critics like Patrick Seifter, who attended a Jan. 9 meeting at Talking Stick Resort Arena, say the City should spend the money elsewhere. “Right now, Phoenix has a major crisis in front of it, bigger than whether the basketball team is going to be around or not, or whether they’re winning or losing,” Seifter said. He cited education, poverty, affordable housing and lack of police training as other, more pressing areas. When the Sports Facility Fund was set up in 1989, it was designed to get the arena built and contribute to the economic vitality of the region. But the money could potentially be diverted to other things, according to David Krietor, former president and CEO of Downtown Phoenix Inc. (DPI). He retired in January. America West Arena (now Talking Stick Resort Arena) opened on June 6, 1992 at a construction cost of $89 million. According to Krietor, it was the arena — along with some other key catalysts — that helped Downtown Phoenix transform from a ghost town into the vibrant, culturally-rich destination it is today. Looking at the short-term, people generally point to light rail, Arizona State University-Downtown and the Phoenix Biomedical Campus. But the convention center and the arena kick-started the revitalization of downtown, according to Krietor, and help sustain its growth. “To have the only professional sports franchise bet their entire future on downtown at a time when there was very little corporate investment: It was a symbol,” he said. That symbol might be just as important, if not more so, than the economic boon, according to Devney Preuss, current president and CEO of DPI. “When you have a professional sports team in the valley for 50 years, you have generations of fans,” she said. The Suns’ history in downtown runs deep, and its evolution runs concurrent with the Downtown Phoenix Partnership (an affiliate of DPI). The Downtown Phoenix Partnership was established in 1991 and the arena opened a year later, bringing thousands of people to downtown annually. Starting with about $500,000, a small, private security team, and a handful of staff members, the partnership initially focused on keeping downtown clean and safe for theater goers, conventioneers and Suns fans. As downtown changed and grew, so did the partnership. Now garnering a $4-million annual budget, that small security service has morphed into a full-scale Field Services Team with in-house personal concierge service (Ambassadors), marketing, events, economic development and more.